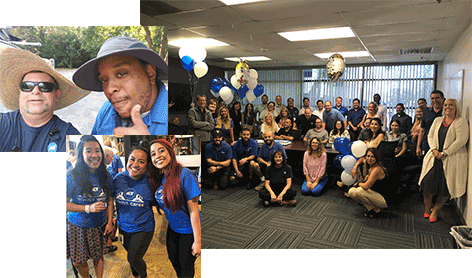 At ADT, our culture starts with our great employees. We hire people who work hard and keep our customers feeling safe and secure. That’s why we strive to create an inclusive environment for all of our employees. Every interaction is a chance for you to advance your career and make a difference. We’re committed to supporting and volunteering in the communities where we live and work. 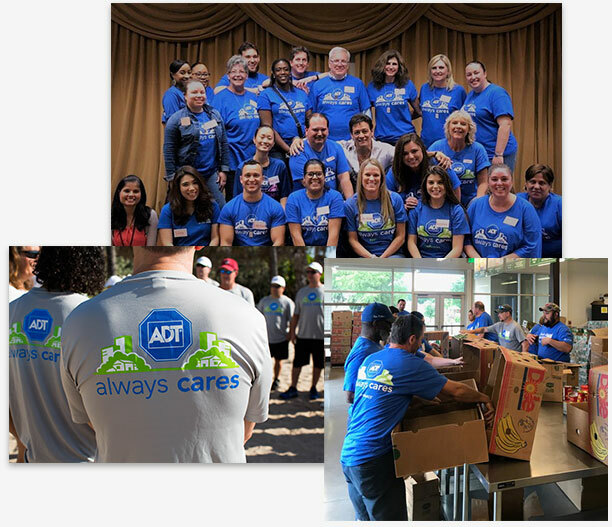 In 2013, we launched ADT Always Cares, a company-wide community service program comprised of both employee volunteerism and employee-directed philanthropy. Our Everyday Heroes help their neighbors through hands-on initiatives, like providing meals to less fortunate families at local food banks, building homes with Habitat for Humanity, and assisting at-risk youth through mentoring and after-school programs. As we serve our communities together, we’re able to create lasting bonds with our diverse communities, marketplace and customers. Feeling and performing your best – at work and in life – requires a state of balance. That’s why the comprehensive rewards ADT offers you and your family are focused on your optimal health. You’ll find rewards to support your emotional experiences, your physical body and healthy lifestyle choices, your ability to confidently manage your finances now and plan for the future. We’re investing in new learning solutions for all of our employees. We’ve enhanced our training experience by simplifying our learning content and updating technology solutions. Our goal is to create memorable and measurable tools that provide the skills, knowledge and capabilities needed to become an Everyday Hero and build a lasting career.